Specializing in “hands on” personalized attention throughout the entire sales process. We offer a full range of consulting services to our clients ranging from strategic planning to preparing a boat for sale, to full analysis and search for a suitable vessel for a buyer. We provide information and advice about the advantages of various design features and construction methods offered by different yacht builders. We help guide you through the survey and sea trial process. We help to arrange dockage, insurance, financing and virtually any other aspect of boat ownership required. Whether you are interested in Sailing Yachts or Motor Yachts, call us to learn how Windswept Yacht Sales will fulfill your boating dream in a pleasant, uncomplicated and hassle free way with a level of attention to detail that buyers and sellers will find refreshing. Sailing and Exploring Apalachicola Bay. Page 30. Photo by Ron Dierolf. October 6, 2018 Spinnaker, Non-Spinnaker, Cruising, Racer Cruiser and Doublehand classes along with the popular Motherload class. 24-HOUR, 7 DAYS A WEEK WORK YARD ACCESSIBILITY • Owner-operated by boaters for boaters • 8’ deep channel off the Waterway in freshwater section (for engine flush) • 40 & 50-ton lifts — boats up to 16’ 6” beam • Crane Service • Auto/RV/Trailer Storage • Hot Showers! CONTRIBUTING WRITERS Fred Braman Dan Dickison Ron Dierolf Kim Kaminski Roy Laughlin Barbara Reid CONTRIBUTING PHOTOGRAPHERS/ART Fred Braman Rebecca Burg (& Artwork) Dan Dickison Ron Dierolf Kim Kaminski Nick Lovisa Barbara Reid EDITORIAL CONTRIBUTIONS: ARTICLES & PHOTOGRAPHY: SOUTHWINDS encourages readers, writers, photographers, cartoonists, jokers, magicians, philosophers and whoever else is out there, including sailors, to send in their material. Just make it about the water world and generally about sailing and about sailing in the South, the Bahamas or the Caribbean, or general sailing interest, or sailboats, or sailing. Go to swindsmag.com for information. n this issue, Dan Dickison, writes about the “real cost” of owning a sailboat. He only addresses boats that need slips. If your boat costs a few hundred thousand dollars, then you can easily afford Dickison’s ownership costs. That might even be pocket change for many. It’s the rest of us I wonder about. The total cost Dickison comes up with doesn’t really surprise me, as I’ve owned three that required slips—a 28, a 30 and 38. I’ve always worked at lowering the costs, and I’ve learned it’s definitely possible to put a big dent in them. But first I want to mention something a manager of a boatyard/marina said to me once. The yard had both sail and power. I’ve never forgotten his comment. We got into a conversation about costs, and he said, “What I’ve found is that when powerboaters have a breakdown they get back in and say they’re going to sell their boat and get out of boating. But sailors get back in and try to figure out how to lower the cost of the repairs.” Many sailors I know often joke that sailors are “cheap.” But they say that in jest, because what they’re really saying is that they’re frugal. Hurricane Country Since the southeast coast and Gulf coast are in hurricane country, costs for owning a boat are a bit higher, both because marinas charge more because marina insurance is higher, and insurance companies charge boaters more on top of that. There’s no getting around the hurricane threat. I estimate that it adds two to three hundred dollars a month. Before the big hurricane years of 2004-5, costs were much lower just because insurance was lower. That’s just the way things are. Other costs, though, are universal, except those associated with slip location. Marina costs are generally the biggest single monthly expense. You can drive further away and save on the slip, but that generally means you spend more on time and gas getting to your boat, which often means working on it less, which translates to not keeping it up, which is essential for every boat, so I don’t count that as a worthwhile savings. In my opinion, it’s best the closer the boat is to your home. and it more than paid for all the boat’s expenses. It even paid for many upgrades. Plus, we were so far away that whenever we went sailing, it was for longer periods, and the boat was ready to go the moment we stepped on board. It was a real vacation. I can’t say enough good about the whole experience and the people that ran the charter company. Operating and Maintenance The main expenses in any boat are operating and maintenance. I don’t see much on operating costs like fuel, since most sailboats burn so little fuel that non-boaters are amazed when you tell them your diesel engine only burns about one gallon an hour. It’s the maintenance costs that are the big expense that you can control by doing your own maintenance and just being “cheap,” although frugal is a better term. This is where you can really save. Maintenance includes more than just cleaning and waxing and changing your own oil. Besides, bottom cleaning and painting, it includes replacing lines, rigging, worn-out gear, parts, sails, canvas, upgrades and general maintenance. If you know anything about boats, you will know that if you do not regularly keep your boat in top maintenance condition, it will go downhill very fast. With today’s internet, everything changes on buying gear, equipment, parts, etc. Just ask any retailer. After losing market share for years to the internet, West Marine has had to institute a policy of price-matching, including online pricing. The internet has done more to lower the costs of boat ownership than any other single factor I can think of. The internet has made boat ownership more affordable. One of the big savings I’ve found that people forget is when you order online and the item is delivered to your door, you save on gas, wear and tear on your car—and your time. Gas, as its price rises, can be significant. If you get stuff sent to you with two-day delivery, that’s quick and worth the savings in time and gas. If the seller uses UPS regular ground service in all of Florida—except the panhandle—it’s the next day. It’s two days to nearby states. Patience saves money. And a great way to save money is to go to marine flea markets. You need line—you can’t beat the price you get for used line at a flea market. It’s the same with fittings— blocks, cleats, miscellaneous hardware, etc. Plus—flea markets are fun. Basically, it all comes down to your time. The more time you spend trying to save money, the more you save in dollars through researching, especially online, since that can be done from your home. That might be “cheap” to some, but it’s really being frugal so you can own that sailboat. EDUCATIONAL/TRAINING U.S. Coast Guard Auxiliary organizations throughout the country hold hundreds of regular boating courses on the various subjects. To find a course near you, go to www.cgaux.org/boatinged/class_finder. Boating Safety Courses— Required in Florida and Other Southern States Anyone in Florida born after Jan. 1, 1988, must take a boating safety course in order to operate a boat of 10 hp or more. Other states require safety education if born after a certain date. To see the laws in each state, go to www.aboutboatingsafely.com. The course named “About Boating Safely” and “America’s Boating Course (ABC)” both satisfy the requirements. They are marked below with two asterisks (**): **Jacksonville, FL. Ongoing Mike Christnacht. 904-5029154. mchristnacht@comcast.net. www.uscgajaxbeach. com/pe.htm. Classes at Captain’s Club, 13363 Beach Blvd. $25 including materials. To have your non-race event listed in print, contact editor@swindsmag.com. Email the information (not just a link) by the first of the month preceding publication. Contact us if a little later. They must be public events that are free, or nominal low cost. Other for-profit events can be listed for $35/month up to 150 words (text and title) for first month, $25 for second month. We will print your public event for two months (rendezvous for three months). (If your for-profit event has a quarter page ad or larger, a 150-word notice in this calendar is included for two months.) You can also list your event on our online calendar, swindsmag.com. Go to EVENTS. No charge for: (1) You have a print ad for the event in the magazine; (2) Public events, non-profit events, free events; (3) Club regattas, marine flea markets, boat shows and other similar events. Contact us for other for-profit events. US SAILING INSTRUCTOR AND COACH COURSES IN THE SOUTHEAST (NC, SC, GA, FL, AL, MS, LA, TX) Go to the website for courses that might have been scheduled after our press date. For more on course schedules, locations, contact information, course descriptions and prerequisites, go to www.ussailing.org/education/instructor. No courses scheduled in the southeast U.S. as of press date. Check the website, since courses are often added late. For learning-to-sail and powerboat handling courses, go to www.ussailing.org/education. Small Boat Instructor Course Level 1 Jacomo Sailing Club, Lees Summit, MO, Sept. 22-30. Two consecutive weekends, Sept. 22-23 and Sept. 29-30. Contact John Hays at jscommodore@gmail.com. Instructor John Sepanski. Cruising Instructor Offshore Sailing School, Fort Myers, FL, Aug. 30 – Sept. 2. Contact Monte Lewis at monte@lewisadvantage.com. Instructors Kurt Thomsen and Rolando Freitag. US SAILING INTERNATIONAL OFFSHORE SAFETY AT SEA COURSE Davis Island Yacht Club, Tampa, FL, Sept. 9. One-day hands-on course. Limited to 100 participants. $250. Registration and Pay Pal links are on the Davis Island Yacht Club website home page at www.diyc.org. The US Sailing online International Safety at Sea Lecture course is a prerequisite, prior to the registration deadline of August 15. The online course is $75 and can be accessed at www.safetyatseacourse.com. Hebertech LLC, Mount Pleasant, SC, Oct. 6-7. Contact Mike Hebert at mikehebert@hebertechllc.com. Held at Charleston Harbor Resort. BOAT SHOWS Tampa Boat Show, Sept. 7-9 Tampa Bay’s oldest boat show. Tampa Convention Center, Tampa, FL. NMMA. (Basically a powerboat show.) www.tampaboatshow.com. 10-8pm Friday-Saturday, 10-6 Sunday. $12. Ages 12 and under, free (when with adult). Wilmington Boat Show, Wilmington, NC, Sept. 7-9 Wilmington Convention Center, Port City Marina, Pier 33 and Battleship NC. www.wilmingtonboatshow.com, 12-8 Friday, 10-8 Saturday, 10-5 Sunday. $10/day; $15/2 days; Ages 4-12 $5; Seniors $8; Military $5. 29th Annual Georgetown Wooden Boat Show, Georgetown, SC, Oct. 20-21 This FREE event is one of the largest wooden boat shows in the country with over 140 classic wooden boats displayed on land and water, a wooden boatbuilding competition, children’s model boatbuilding, knot tying, maritime art and crafts, food and music. The show takes place on the waterfront and along Front Street in historic downtown Georgetown. All proceeds benefit the South Carolina Maritime Museum. www.woodenboatshow.com. 7th Annual Wooden Boat Show, Manteo, Roanoke Island, NC, Oct. 26-27 Hosted by the Roanoke Island Maritime Museum, this event is held on the downtown Manteo waterfront. For those who want to exhibit their boat, contact sailing@townofmanteo.com, or call 252-475-1750. Point Cadet Plaza, Biloxi. Saturday 10am-9pm, Sunday 10am-5pm. Go to www.biloxi.org and click on Events. Admission charged. In the last few years, this flea market has grown to be one of the largest marine flea markets in the region. Searching for deals amongst the piles of new, used and eclectic maritime treasures has never been so much fun. Lots of used boat stuff, and some new boat stuff, will be available for sale and trade, so bring your whole family and enjoy some live music—even some food—while mingling with other “salty dogs.” Come out and find a great deal or just look around and have a good time. For the fourth time, this annual event will be held at the Florida Maritime Museum, 4415 119th Street West, Cortez, FL 34215, from 8am-2pm, on Saturday, Oct. 20 (rain day Oct. 27). FREE to the public with free parking. Additional parking next door at the F.I.S.H. Preserve. For early bird vendors there is a $25 fee. After Oct. 13, the fee will be $35. Vendors provide their own tables and tents. For more information and to reserve space, call 941708-6121, or Kristin.Sweeting@manateeclerk.com. This event is co-sponsored by the museum, SOUTHWINDS Magazine and AMI Sun. 31st Annual North Carolina Seafood Festival and Boat Show, Oct. 5-7 Food, music and lots of other events. Opens Friday, noon11pm. Saturday, 10am-11pm, Sunday 11am-5pm. Free. Morehead City, NC. www.ncseafoodfestival.org. 47th Annual National Shrimp Festival, Gulf Shores, AL, Oct. 11-14 Savor fresh from the gulf seafood during this event that attracts over 300,000 people. Main public beach in Gulf Shores at 101 Gulf Shores Parkway. 10am-10pm. Sunday, 10am-5pm. www.nationalshrimpfestival.com. 37th Annual John’s Pass Seafood & Music Festival, John’s Pass Village, FL, Oct. 25-28 A bounty of fresh seafood featuring the favorite Madeira Beach Grouper. Thursday 3pm-10pm. Friday 10am-10pm. Saturday 10am-10pm. Sunday 10am-6pm. Johns Pass Village, Madeira Beach, FL. www.johnspassseafoodfest.com. 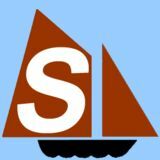 SAILBOAT AND TRAWLER RENDEZVOUS Promote and List Your Boat Rendezvous SOUTHWINDS will list your Rendezvous for three months (other events are listed for only two months)—to give boaters lots of time to think about and plan their attending the event. This is for rendezvous held in the Southeast U.S. or Bahamas. Send information to editor@southwindsmagazine.com. America’s Great Loop Cruiser’s Association Fall Rendezvous, Rogersville, AL, Oct. 3 This is the AGLCA’s largest annual rendezvous and reunion, but it sold out early (by July 17). You can get on the waiting list at www.greatloop.org. New this year are the Looper Crawls, which is for people who want to come to the Rendezvous just to see the boats in the Marina. AGLCA members can still by tickets for that. OTHER EVENTS 2018 Atlantic Hurricane Season Begins, June 1-November 30 (It’s still running) Go to page 28 for Hurricane information. Go to the hurricane section at southwindsmagazine.com, for hurricane information, links and plans to protect your boat. IBEX — 2018 International Boatbuilders' Exhibition & Conference, Tampa, FL, Oct. 2-4 Owned and produced by Professional BoatBuilder magazine and the National Marine Manufacturers Association (NMMA), IBEX is the marine industry's largest technical trade event. The event is for boatbuilders, marine industry dealers, aftermarket suppliers and buyers, designers, repairers, surveyors, and boatyard/marine operators. Over 5,000 boatbuilders, boatyard/marina operators, designers, surveyors, retailers, dealers and other industry professionals from more than 50 countries will attend. Over 500 exhibitors are at the show. For more information, go to www.ibexshow.com. Tampa Convention Center, 333 South Franklin St. IBEX is for the trade only and not open to the general public. Waterfront Restaurant & Bar Coming Soon !! NEWS 2018 Hobie 16 Worlds to be held in Captiva Florida in November On August 1, the International Hobie Class Association (IHCA) announced that the 22nd Hobie 16 World Championship would be held on Captiva Island in southwest Florida Nov. 1-16. A sponsorship agreement between The Beaches of Fort Myers and Sanibel Island in Lee County, FL, and the IHCA has been signed. The IHCA has also concluded an agreement with the host hotel, South Seas Islands Resort, Captiva Island. Racing will be held off Sunset Beach on the north end of Captiva at the resort. Hobie Cat Company will be supplying brand-new identical boats to all the competitors, which means that they will all have the same exact boat with the same equipment. For more information, go to www.hobieworlds.com. March 16-17: Registration and St. Petersburg-based events, hosted by SPYC. March 18: Race start, scheduled for 11am, Tampa Bay, in the vicinity of the Skyway Bridge. March 21-23: Cuba-based events, hosted by Club Nautico Hemingway International Yacht Club de Cuba, Havana, Cuba. Details and requirements are available in the Notice of Race, available at www.yachtscoring.com (search for “habana”). Eligible boats may enter through the online registration form available on the SPYC website, www.spyc.org. The entry deadline is Jan. 3, 2019. St. Petersburg Yacht Club Announces that the Regata del Sol al Sol Will Be Held Every Other Year The 51st Regata del Sol al Sol from St. Petersburg to Isla Mujeres, Mexico, will not be held in 2019, but will be sailed in April 2020—and in even years after that. Specific information on the event will be included in the Notice of Race, which will be released in 2019 on the race website, www.regatadelsolalsol.org. West Florida Master Race Calendar Now Online The Tampa Bay area and west coast of Florida Master Calendar and the Suncoast Boat of the Year Notice of Series have been posted on the websites for the St. Petersburg Yacht Club and West Florida PHRF at www.spyc.org and www.westfloridaphrf.org. The calendar lists all the regattas from Marco Island to the greater Tampa Bay area. 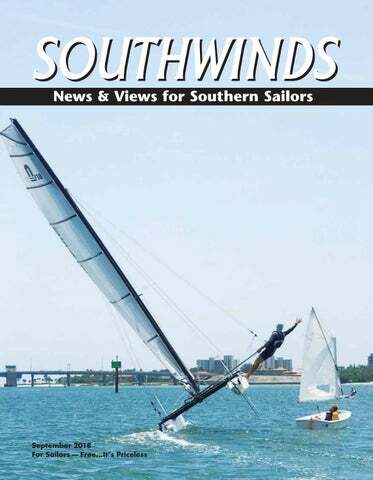 NATIONAL, INTERNATIONAL AND OTHER REGATTAS IN THE SOUTHEAST LISTING YOUR RACE SOUTHWINDS lists races in the Southeast eight coastal states for free with date, event and sponsoring organization in the “Racing Calendar” at the end of the magazine. Listed below are upcoming national and international regattas in the Southeast. For other regatta pre-race write-ups with a description in this section, cost is $35/month ($25 for second month) for the first 130 words and $45/month ($35 for second month) for 200 words total. No listing over 200 words allowed. Regattas that run display ads 1/4 page or larger (we give regatta ads reduced rates) will get 150 words at no additional charge for two months. Email editor@swindsmag.com, or 941-795-8704, around the first of the month preceding publication to list your event or place an ad. experienced and novice racers. With the main emphasis being a “Good Time,” this event is open to all sizes of multihull sailboats, from beach cats to tris and cruisers. Usually about 50 boats participate. Spectators welcome. It all starts with the Smooth Sailing and late registration/package pick-up Party on Friday, Sept. 7, 6-8pm. That includes complimentary T-shirt, beer, discounted Malibu drinks and munchies. Saturday will include the Distance Race, Beach BBQ and door prizes. Sunday brings excitement with the Triangle Buoy Races and Awards Ceremony. Great live music will play throughout the weekend’s festivities. Online Registration closes at 5pm, Thursday, Sept. 6. Register by August 31 and save. Visit http://www.juanaspagodas.com/RegattaNews.htm for details and registration, including discounted lodging options. The 9th Annual St. Petersburg Classic Regatta (formerly the Good Old Boat Regatta), Sept. 14-15 More than Just a Regatta, A Benefit for “Meals on Wheels” Organized by the St. Petersburg Yacht Club and co-hosted by the St. Petersburg Sailing Association, this event is designed to showcase older classic boats, which must be at least 20 years old to enter (built before 1998). Boats come from all over to participate in this event which is known more for its fun, camaraderie and generosity than the sailboat race, which is always a spirited event. New this year will be the inclusion of classic motor yachts. Classes include Spinnaker, Non-Spinnaker, True Cruising (always the largest class), One-Design and a Fun class. Special awards are given for most beautiful boat, oldest boat, oldest skipper and a variety of other categories. The most prestigious award is the Good Neighbor Trophy awarded to the boat that makes the largest donation to Meals on Wheels. The regatta slogan is “Keels for Meals on Wheels” and it is a fundraiser for Meals on Wheels, which provides nutritious, hot meals to low income elderly folks who would otherwise go without. Last year the regatta raised over $17,000 for Meals on Wheels, bringing the grand total to $74,700 over the last 8 years. The regatta slogan, “Keels for Meals on Wheels” highlights the importance of good nutrition to provide a solid foundation for healthy seniors. SPYC will supply free dockage, hosts the dock parties and the awards dinner banquet. For the NOR, online registration and information, go to www.stpetersburgclassicregatta.com. Flying Scot Women’s North American Championships Privateer Yacht Club, Hixson, TN, Sept. 14-16. www.privateeryachtclub.org. off” event for the Tampa Bay/Sarasota Bay area winter racing season. Two days of racing in Tampa Bay. Classes: Spinnaker, non-spinnaker, cruising, racer/cruiser, multihull and one-design. Upwards of 70 boats have raced in the past, most of which raft up at the yacht club. Partying for the event begins on Friday night as boats gather at the club, continuing Saturday afternoon after racing. Entry fee includes T-shirt, free beer all days (while it lasts), pool party Saturday, and continental breakfast Saturday and Sunday. Single point hoist, mast crane and ramp available for boat launching. For more information, go to www.bradentonyachtclub.com. Go to www.yachtscoring.com and search for “Bradenton Yacht Club,” or call Fred Ruggiero at 941-5275661, or diesel3446@AOL.com. Complimentary dockage. BYC dock reservations: 941-722-5936, ext. 212, or dockmaster cell, 941-374-2310. 50/50 ‘Round the Island Race, 2018 Fort Walton Yacht Club, Fort Walton Beach, FL, Sept. 21-23 The Fort Walton Yacht Club will host the annual 50/50 ‘Round the Island Race beginning Sept. 21. Any multihull sailboat, fourteen feet or more, with a mast height no more than 48 feet is eligible to compete. Festivities will begin at 4:00pm at the club on Friday evening with Check-In, and racing begins after a continental breakfast Saturday morning. After the fifty-mile trek through the Gulf of Mexico, competitors will enjoy an evening of barbecue and camping at Fort Pickens National Park. Hotels are available on Pensacola Beach. New comers don’t need to be concerned with a ground crew or managing equipment, our race committee moves each competitor’s equipment and necessities to and from Fort Pickens for everyone’s convenience. After Sunday morning coffee and bagels, we begin the return trip to the club. The awards presentation will take place as soon as possible upon completion of the race on Sunday afternoon. The race is approximately 100NM around the island. Prospective competitors should consider additional safety equipment as listed in the Notice of Race. Register with NextSailor.com or find more information at FWYC.org. 63rd Annual Columbus Day Regatta, Biscayne Bay, FL, Oct. 6 Last year was supposed to be the 63rd Annual Columbus Day Regatta, but Hurricane Irma forced cancellation of the event. The event is expected to be held this year on Oct. 6, with the awards ceremony held the following week on Oct. 13 (dates not 100 percent confirmed as of early August). Attendance for this regatta is expected to draw over 200 racing and cruising sailboats from around south Florida. The Coral Reef Yacht Club generally hosts the award ceremonies. Organizers are looking for donations for raffle prizes. To sponsor, donate raffle prizes or for more information, go to the event’s Web site at www.columbusdayregatta.net. 34th Annual Dunedin Cup, Dunedin, FL, Sept. 29 Dunedin Boat Club is hosting this first race of the Gulf regions Boat of the Year races. Open to spinnaker, non-spinnakers, racer-cruisers and cruisers. Come for the race and stay for the party! Post race barbecue, live music and awards presentation at the Dunedin Boat Club. Anyone who is also registered for the race from Clearwater to Pass a Grille held the following weekend can get complimentary dockage at Clearwater Yacht Club from the day before the Dunedin Cup until the Pass a Grille Run. For full information, go to the Dunedin Boat Club’s website at www.dunedinboatclub.org. 35th Pusser’s Rum-gatta, Apollo Beach, FL, Oct. 6 This annual regatta, sponsored by Pusser’s Rum, is hosted by the Tampa Sailing Squadron in Apollo Beach. Following the racing is the Pusser’s Rum “Par-Ti” featuring music, rum libations and dinner—all sponsored by Pusser’s Rum. 5th Gear Band will be providing the entertainment. On Sunday, a hot breakfast is served to racers 8am to 9am. Racing classes: Spinnaker, Non-Spinnaker, Racer Cruiser, Cruising, Doublehand and the Mother Lode class. The Mother Lode class does not require a PHRF rating and is designed to provide an easy pursuit race around Tampa Bay for the less serious racers). Boats are assigned a rating based on their equipment and the captain’s experience. A pre-race skippers meeting and party featuring keg beer starts at 5pm, Friday, at the squadron. For details, entry forms, NOR and a discount for early registration, go to www.sail-tss.org and go to Regattas. 38th Annual Sarasota Yacht Club Invitational Regatta, Nov. 3 This is one of the largest and oldest regattas on Sarasota Bay. Both One-Design and PHRF Racing. One-Design classes: Flying Scot, VX One, Viper 640, Opti, Laser, 420, Open BIC. PHRF classes: Spinnaker, Non-Spinnaker, Multihull, True Cruising, Pocket Cruiser, Racer Cruiser. Skippers Party on Friday. Entry includes two dinner wrist bands for awards dinner with pig roast, plus T-Shirt, drink specials and Sunday coffee and Scones. Co-sponsored by Mount Gay Rum. This is a Sarasota Bay Boat-of -the-Year event. Early reduced entry fee deadline is Oct. 31. Final entry deadline is Nov. 2. For the NOR and online registration, go to www.sarasotayachtclub.org. www.regattanetwork.com. Contact Will Stocke, will.stocke@sarasotayachtclub.org or at 941-315-0627. SELL YOUR BOAT SOUTHWINDS CLASSIFIED ADS Work! Okeechobee Water Level Goes Up About Two Inches Since July As of press date in early August, Lake Okeechobee was at 14.48 feet above sea level. This makes the navigational depth for Route 1, which crosses the lake, 8.42 feet, and the navigational depth for Route 2, which goes around the southern coast of the lake, 6.62 feet. Bridge clearance at Myakka was at 49.15 feet. For those interested in seeing the daily height of the lake, navigation route depths and bridge clearance, go to http://w3.saj.usace.army.mil/h2o/currentLL.shtml (copy this address exactly as it is here with upper and lower cases). boaters were told that this was a new policy and that officials were now going to out islands for boat inspections. BoatUS reported that the Bahamas authorities were increasing their boat inspections and that boaters should make sure they follow the rules exactly. Of particular note are the rules for weapons (and ammo), which are very strict in the Bahamas. BoatUS recommends going to their web page which has requirements and advice for boaters who enter and leave the Bahamas, Cuba, Mexico and Canada: Boatus.com/crossing-the-border. BoatUS is also encouraging any boater to have funds onboard in the Bahamas in order to pay potential fines, as it appears the choice is pay then or appear in court. They suggest that if you are contesting a fine to do so afterwards and to contact BoatUS about the incident at consumerprotection@boatus.com. the law passed, there was no time limit on the decal. In March, the Florida legislature passed a law (HB915 2018), that was signed by the governor, that enables the Florida Fish and Wildlife Conservation Commission to set a time limit on the decals. The law goes into effect on Jan. 1, 2019. The law mandates that a decal must be valid for at least one year, but no more than five years. It also states that all decals issued before Jan. 1, 2019 will not longer be valid from that date forward. At this time, there is no indication of the time limit that the FWC will set for the decals. The current law and the benefits of the decal have no effect on the right of the U.S. Coast Guard to stop a boat whenever they want. It only affects Florida law enforcement officers. member of AIWA’s Board of Directors and is actively engaged on this issue. The additional appropriations were earmarked for restorations to sections of the ICW damaged by recent hurricanes. While funding decisions and locations are subject to change, the Wilmington District expects to use the funds to dredge shallow draft inlet crossings in the southern end of North Carolina. In South Carolina, the Corps’ Charleston District will focus on the stretch of the ICW between Charleston and Georgetown. This will follow a dredging project between Port Royal and Charleston. When both projects are complete, approximately two-thirds of the state will have been dredged to 10 feet deep. In Georgia, dredging will focus on the Jekyll Creek area, considered to be the most silted-in segment of the entire ICW. Additionally, various sections of Florida will have shoals removed. For more information, contact NMMA’s Vice President of State Government Relations, David Dickerson at ddickerson@nmma.org. of representatives from US Sailing, the sailing media, the sailing industry, community sailing, a maritime museum, a previous inductee, and the NSHOF Board—reviewed a wide range of nominations. Inductees are American citizens, 45 years of age or older, who have made significant impact on the growth and development of the sport in the U.S. in the categories of sailing, technical/design and contributor (coach, administrator, sailing media). Nominations of non-citizens were also considered if they influenced the sport in the U.S. Posthumous nominations were also accepted. The Lifetime Achievement Award inducts an American citizen, 55 years of age or older, who has had consistent involvement in sailing for a majority of his or her life and had success in the sport while also becoming successful and achieving noteworthy stature in a non-sailing career. The 2018 class will be formally celebrated on Sunday, November 11, 2018, with an induction ceremony hosted at Lauderdale Yacht Club, Fort Lauderdale, FL. The induction Weekend has become notable as a reunion of sailing’s Who’s Who with attendance by many previous inductees. For more on the NSHOF and the 2018 inductees, go to nshof.org/hall-of-fame. Daedalus Composites of North Carolina Purchases Farrier Marine North Carolina-based Daedalus Composites, builder of high-tech large catamarans, announced in August that they have purchase Farrier Marine Group of New Zealand. Farrier is the builder of the Corsair Trimarans. Michael Reardon of Daedalus stated in the announcement that he had been in discussions with Ian Farrier about a production partnership for the Corsair before Farrier passed away in December 2017. Since then, those discussions evolved into the recent purchase of Farrier Marine Group. Corsairs will continue to be built in Christchurch, New Zealand, but the Daedalus plant in Edenton, NC, will be producing Corsairs or be doing some of the production. They currently have a backlog of orders for the boats, which are still in high demand. For more on Daedalus Composites, go to daedalusyachts.com. High Performance PORTABLE Sailing Catamaran Fits easily in Your Car or Boat! 2992 Overseas Highway, Marathon, FL 33050 Showroom MM 48.5 We Service and Sell Marine A/C, Refrigeration, Watermakers, Batteries, Solar Systems—Anything Electrical! Standard Model $599 Price includes S&H to all 50 states! The Original Since 1986! The Ultimate in Portable Seating! Superior Comfort & Quality! A Cushion, A Seat, A Recliner… ALL IN ONE! Sunbrella™ marine canvas Made in the USA! FREE SHIPPING! A sailboat wreck near St. Vincent Island (this little sandbar does not have a name. It moves, disappears and reappears randomly. The wreck disappeared again this past April. here. There are no inhabitants on either island, and the area probably looks much the same as it did hundreds of years ago. To the north of the west half of Little St. George, and parallel to the shore, is the Lower Anchorage, an area of deeper water up to 20 feet deep. The area is so marked on the charts. This was the historic anchorage for large, oceangoing ships in the days when Apalachicola was a major cotton port and the third-largest port in Florida. “Lighters”— shallow-draft boats—would transport cotton and other goods from the docks in Apalachicola to these ships for transportation to Europe and other points. The Lower Anchorage leads into West Pass between St. Vincent and Little St. George islands. This is a beautiful area but somewhat treacherous. The tidal current through the Pass can be fast during the tide changes. There are shoals just outside the pass to the south that run west for about 4 NM to Bird Island (a transient and constantly changing small island not on any charts) and beyond. There are passages through this area but they are constantly in flux. Local knowledge is highly recommended if you decide to venture into this area. This area is blank and is labeled “Subject to frequent shoaling” on the charts. However, if you take your time and stay alert, you can get a few miles west of West Pass and anchor. The rewards are immense. You will find wonderful scenery and miles of almost completely deserted beaches. It’s difficult to believe you are really in Florida when you are here—it feels as if you have stepped back in time to a point when Florida was an unexplored wilderness. We often anchored our IP 29 in this area and enjoyed the silence, the solitude and the scenery. On most occasions, you can watch dolphin cavorting in the shallows while chasing mullet—which seems to be their favorite food. Just be aware that anchoring out here is not a good idea with a wind from the southeast through the west. Great anchoring off Little St. George in mud/sand can be had all along the Lower Anchorage all the way to West Pass. There is reasonable shelter here from a south or west wind but little protection from a north or east wind. A really fun trip is to sail east along the south shore of St. George Island to East Pass, which is between St. George and Dog Islands., then sail back west on the bay side. growing from east to west during the past few years. For some local knowledge, you can check at the Apalachicola Marina fuel dock, the Apalachicola Maritime Museum or the Visitors Center on Commerce Street. Once you are into the cut, you are home-free with access to the Gulf of Mexico. A really fun trip is to sail east along the south shore of St. George Island to East Pass, which is between St. George and Dog Islands. There are several great anchorages on the north side of Dog Island. The loop can be completed by sailing/motoring west in the ICW to Apalachicola. Plan on spending two or three days (at least) to properly enjoy this trip. To the east from the turn mentioned above, the ICW channel runs parallel to St. George Island. You can safely deviate from either side of the channel until you reach green daymarker #59 and red light #58, but I wouldn’t advise straying too far. East of these markers you had best keep to the channel. The south shore of St. George Island is scenic but populated. Most of this shore is private property and landing areas are few. Gail and our sailing kayak on Little St. George Island. head SW toward Horseshoe Cove on Little St. George. There is the foundation of an abandoned lighthouse on the Gulf side of the island and the Gulf side is scenic and almost always completely deserted. Don’t try to land on the old dock in the vicinity—it is not suitable for a small boat and larger boats will run aground. This round trip is about 17 NM. If you are visiting the area without a boat, you can check with the local outfitters and set up a guided sail of the bay, the river and/or the surrounding area. There are several kayak rental shops on both St. George Island and in Apalachicola, including an outfitter that provides tours on sailing kayaks. Gail on Little St. George Island with the Festina Lente in the background anchored in the Lower Anchorage. RACE REPORT US Sailing Team Dominates at the 2018 Youth World Sailing Championships, Corpus Christi, TX, July 13-20 The US Sailing Team at the Youth Worlds in Texas took four gold medals and one silver. The team received the Nations Trophy for their dominating performance. Winning a gold in the RS:X Boys Class was Geronimo Nores from Miami Beach. Carmen and Emma Cowles, both from Larchmont, NY, took another gold in the 420 Girls Class, while Charlotte Rose of Houston, TX, won the gold in the Laser Radial Girls Class. The fourth gold was earned by JC Hermus of Bellport, NY, and Walter Henry of Syosset, NY, in the 420 Boys Class. The silver medal was won by Berta Puig of Miami and Bella Casaretto of Fort Lauderdale in the 29er Girls Class. Sixty-six countries were represented in the 48th Youth Worlds, which were hosted by the Corpus Christi Yacht Club. Other teams that made strong showings were New Zealand in second, Italy in Third, Great Britain in fourth and France in fifth. For complete results, go to www.worldsailingywc.org. Optimist US Nationals, Pensacola, FL, July 14-22 Nine countries were represented in 168 races over 10 days at the Optimist Nationals in July. Hosted by the Pensacola Yacht Club, sailing was on Pensacola Bay. The largest group was the Nationals which raced July 15-18 with 275 entrants. That was followed by the Girls Nationals on July 19 which had 70 entrants. On July 20-22 was the Team Race Nationals with 24 teams. Stephan Baker of Miami took first in the Nationals, beating out 278 sailors. He was followed by Malthe Ebdrup of Denmark, while Laura Hamilton of the Lauderdale Yacht Club took third. The girls national championship was won by Samara Walshe of New York, while Sara Schumann of Lauderdale Yacht Club took second and Anne Samis from Chicago took third. In team racing, the Lauderdale Yacht Club team of Connor Boland, Sara Schumann, Laura Hamilton, Jack Redmond and Lucy Meagher took first. For complete results, go to www.usoda.org. Both races in the Spinnaker class were four miles the first race, first place went to LeAyn Dunbar from the Pensacola Beach Yacht Club aboard her J/80, Albert J. Rice, finishing with a corrected time just seven seconds ahead of Susan Danielson from the Pontchartrain Yacht Club and her crew aboard her Viper 640, Thai-ger. Close behind in third was Debby Grimm from the Southern Yacht Club and her crew aboard Hot Chocolate, finishing only 44 seconds behind Thai-ger. Kim Kaminski from the Navy Yacht Club and her crew aboard Helldiver finished 15 seconds behind Hot Chocolate. The second race saw close finishes as well, with LeAyn Dunbar on Albert J. Rice holding onto the lead, finishing once again ahead of Susan Danielson on Thai-ger by 12 seconds. Only 29 seconds separated third and fourth place between Debby Grimm on Hot Chocolate and Ellen Hunt from the Pensacola Yacht Club on Reach Around. For the Non-Spinnaker class, the ladies sailed a fivemile course and battled on the bay for position. In this race, another close finish time occurred between Linda Thompson from the Pensacola Beach Yacht Club aboard her boat, Moana, that finished 38 seconds ahead of Julie Connerley from the Navy Yacht Club aboard her boat Coquina. But after the handicap adjustment and corrected time, Coquina conquered the day in first place, with Moana in second, and Be Gobeli from the Pensacola Yacht Club, aboard Jes-B-N-Me, in third. The Lloyd and Beverly Stagg Perpetual Trophy is given to the Overall Winners in both the Spinnaker and NonSpinnaker classes, which went to LeAyn Dunbar in Spinnaker, and Julie Connerley in Non-Spinnaker. In addition, the Spirit of Bikini awards were presented to Debby Grimm on Hot Chocolate and Linda Thompson on Moana for the Best All Female Team exemplifying the spirit of the race. Perseverance Awards went to Helldiver in the Spinnaker Class and Jes-B-N-Me in Non-Spinnaker. The second race in the trilogy series was the Race for the Roses, held on July 28. The third race, the Fast Women Regatta, was on Aug.4. View of the entrance from well inside the harbor at North Bimini. Miami to Great Harbour via Bimini. The Big Game Club at North Bimini has new docks, on-site restaurant, bar and pool, and a lively top deck with live music most evenings. The route taken to Great Harbour Cay from Miami. A view of the Big Game Club complex from the harbor. Great Harbour Cay’s entrance is nearly invisible from a distance, but it opens up into a broad, well protected harbor, once can you find it! ers and sole employees. Two tables, five bar stools and great food. The MailBoat, Captain Gurth Dean, came in while we were exploring the island the next day. (In 2012, that very MailBoat sparked my interest in such travel and led to my MailBoat cruise of the Bahamas, which I did and wrote about five years later. See the December 2017, January and February 2018 issues at Back Issues at www.southwindsmagazine.com) Although we spent only three days in Great Harbour Cay (plus the night in the dark just outside the harbor), it’s the kind of place that can lull you into wanting to stay forever. Boat-beach-bar-bed—you get so lazy that even brushing your teeth is a chore! You take a book to the beach, never open it and sleep. Not much to do there except chill and maybe go out to Brown’s for dinner once in awhile. Our last day was that kind of day. We started by looking for the tourist hot spots we may have missed, like the ruins of the “Rat Pack’s” beach lodge. I don’t know how much time Frank, Peter, Sammy and Dean actually spent there, but they had a place and there are locals hoping that someone will restore it to its former splendor. Hard to believe that such a group would pick GHC, which is about as far from Las Vegas as you can get! Finally, we settled in at The Beach Club, an Atlantic shore white-sand beach with a nice outdoor bar and restaurant to contemplate the next day’s departure. Great Harbour Cay was a terrific stop, but it was time for us to move on. New adventures lie ahead. Next month, heading southeast: The Northwest Providence Channel, Chub Cay, New Providence Island and Highbourne Cay in the Exumas— stops en route to our planned next long visit, Cape Eleuthera. Fred Braman lives in Fleming Island, FL, with his wife of 50 years, Louise. He writes about his travels in his Catalina 30 sloop, Rhombus, for SOUTHWINDS Magazine and recently completed two months in The Bahamas. He can be reached at fredbraman@hotmail.com. Big slips and nice facilities ashore at the Great Harbour Cay Marina. Only Three Teams Sign Up as America’s Cup Challengers to Team New Zealand Smaller Version of the AC75 Tested on the water and a another version to be marketed to the general public successfully tested Rendering of Philippe Briand’s 6.5-meter Flyacht that uses the same foiling concept as in the proposed America’s Cup AC75 foiling monohulls. © Philippe Briand. the same foiling design as proposed in the AC75. The boat was launched and sailed by a crew of two in the UK in July. It was reported that the boat was doing 30 knots in 12 knots of wind and going upwind at 20 knots. The boat was easily controlled, and stable tacks and gybes were performed easily. Other teams are working on their own versions, but Team UK was the first to test sail one. One of Team New Zealand’s goals is to have the AC75 inspire the development of smaller foiling monohulls to be sailed by those who can’t afford the millions of dollars that the America’s Cup teams have. Yacht designer Philippe Briand, who has been involved in six America’s Cup campaigns—and who is not known to be affiliated with any of the teams entered in the 2021 cup—has done just that and designed a 6.5-meter (about 21 feet) version that is based on the same foiling concepts that are in the AC75. Named the Flyacht, Briand has designed the yacht to be built and marketed as an affordable boat to the general sailing public. It will sail using a wheel and have a crew of two. Contribute to Southwinds – Articles and Photos Wanted Sailing Experiences: Stories and photos about experiences in places you’ve cruised; anchorages, marinas, or passages made throughout the Southern waters, the Bahamas and the Caribbean. Boat Reviews: Review your boat. See the ad on page 43 on reviewing your boat Charter Stories: Have an interesting Charter story? In our Southern waters, or perhaps in the Bahamas or the Caribbean? Write About Your Yacht Club or Sailing Association: Tell us about your club, its history, facilities, major events, etc. Youth Sailing: Write about a local youth sailing organization or sailing camp Bahamas and the Caribbean: Trips, experiences, passages, anchorages, provisioning and other stories of interest. SOUTHERN REGIONAL RACE CALENDAR For Racing News, Race Training, and National, International and Major Upcoming Regattas in the South, see “Racing News” section. LISTING YOUR RACE – SOUTHWINDS lists races with date, event and sponsoring organization in the eight southeastern states. To list your regatta with a description in the Racing News & Regattas section in the front of the magazine, go to that section for information on how to list it, including placing an ad for the regatta at reduced rates. The below listings are free. Just email editor@southwindsmagazine.com with date, race/regatta name and sponsoring club. No other information needed (or wanted). LIST YOUR REGATTA ON OUR WEBSITE With our new website you can list your regatta (with more information) yourself on our online calendar for free. Go to swindsmag.com, and click on EVENTS. Club Races Not Listed Local weekly and monthly club races not listed. Contact the clubs. Generally, any sailboat is invited to club racing. Yacht Clubs Listed Below/Yacht Club Directory Clubs listed below are the clubs that have regattas listed this month or next month. For a complete list of clubs in the Southeast, go to www.SouthwindsMagazine.com and go to the club directory. To add your club or edit the listing, create an account on the online directory. You can then add additional information about your club: Location, regattas, club racing, cruising, activities, general information, etc. Note: In the below calendars: YC = Yacht Club; SC = Sailing Club; SA = Sailing Association. H 35 years sailing experience; 23 years yacht broker experience H Certified Professional Yacht Broker (one of 3% of Florida Brokers) H Kelly will come to your home, office or boat — evenings included! H Massey Yacht Sales sells more brokerage sailboats than any firm in the Southeast U.S.
For over 15 years we have acted as our clients trusted advisor throughout the entire process in the quest to sell or buy the yacht of your dreams! Representing both buyers and sellers, our goal is always to make your experience as easy and enjoyable as possible! 38’ Cabo Rico Cutter Plan B. 1985. Crealock design, bluewater contruction. Solar, watermaker, SSB radio, air conditioning, inverter, davits, dinghy. Ferenc Mate says Cabo Rico is one of Worlds Best Sailboats. Great sails and excellent sailing performance. Alan 941-3501559. Only $97,900 alanpwys@gmail.com, www.WindsweptYachtSales.com. ______ Free ads in boat gear for all gear under $200 per item. Privately owned items only. NO photos. (941-795-8704) Editor@southwindsmagazine.com. REMORA from page 62 away with my flippers. As improbable and ridiculous as it sounds, I’m thinking they hitched a ride. So, as long as they were helping clean the debris that accumulates on the bottom of our boat, I felt I should start feeding them our food scraps, which they snatched right up. I would go out on deck, stomp my foot and they would come out looking for food. We ended up feeding them breakfast, lunch and dinner. And sometimes, snacks. Larry would come out and watch—he got a kick out of it, too, once he was assured I wasn’t feeding them anything he could eat, although I did feed them his shredded wheat mini-wheats occasionally because I had brought plenty. It was time to start heading back to the U.S. before hurricane season. I sadly said goodbye to my remora family, which had grown from two to five, and left George Town, heading back up the Exuma Sound to our favorite spot, Black Point Settlement, with another overnight at Oven Rock. The next day, we were again at Black Point Settlement. A couple of hours later, I put out a line hoping to catch dinner. My “babies” came right out! I guess they decided to tag along! Other boats in our anchorages didn’t have them—or didn’t notice. For the rest of the week we were back to pancakes, chicken, pasta, veggie trimmings, etc.—breakfast, lunch, dinner and snacks. I fed them shredded wheat mini-wheats while scrubbing the waterline so they’d keep me company. It was fun watching their upside-down mouths grabbing the food! My family had now leveled out to what seemed to be two adults, one large about three feet long and quite chubby, and one slightly shorter and thinner, and two of what seemed to be juveniles of slightly different sizes but just as scrappy as the biggest one when it came to going after the food. Sad when it came time to leave. The next five days were long— grueling hauls through the Exuma Bank, Northeast Providence Channel, Great Bahama Bank, Atlantic Ocean and the Gulf Stream, ending in brackish water in Lake Worth, North Palm Beach. Only catfish came after my bait there. Opportunity for an experienced Yacht Broker in S&J Yachts’ new Palmetto, FL office. S&J Yachts has 5 offices from the midAtlantic to Florida. Boating experience and team player a must! Friendly, professional working environment. S&J Yachts sells new and brokerage quality boats. Enquiries confidential. Contact Bill Bolin 941 212-6121. info@sjyachts.com, www.sjyachts.com ________________________________________ Yacht Sales Person Needed Preferred Yachts, located at the beautiful Harborage Marina in St Petersburg, has an opportunity for an experienced full time yacht broker or we will train you. We are a unique boutique yacht brokerage with a large brokerage display center that attracts buyers and sellers from around the world. Preferred Yachts is one of only 50 Certified Professional Yacht Brokerages in the US and hold to the highest standards of professionalism, knowledge and integrity. With 38 years experience, we know how to help you be successful and our clients to achieve their dreams. For more details, Contact Joe Zammataro, CPYB Call: 727-527-2800 or Write Joe@PreferredYachts.com ________________________________________ Edwards Yacht Sales is expanding! Several openings for yacht brokers in Florida. Looking for experienced broker or will train the right individual. Must have boating background and be a salesman. Aggressive advertising program. Come join the EYS team! Call in confidence, 727-449-8222 www.EdwardsYacht Sales.com Yachts@ EdwardsYachtSales.com ________________________________________ Doyle Sails Gulf Coast, St. Petersburg, FL. Seeking Outside salespeople to sell sails in the Gulf Coast region. Take your sailing hobby, make extra cash, or turn it into a career. Doyle Gulf Coast is the second largest Doyle production sail loft in the U.S. We are seeking outside salespeople to sell sails in our region which includes the entire Southeast. The position involves being able to measure a boat, price sails (we will assist with quoting), install, and follow up with customer. Please contact robert @ islandnautical.com, or call 727-800-3115.
t was another day waiting for the wind and seas to be kind enough to sail comfortably from West Bay, New Providence Island, to the Exumas. I had caught some nice baitfish with a Sabiki in Biscayne Bay, so I decided to try my luck at catching dinner. Two rods were deployed, each with a large hook and a six-inch fish; one on each side of our Moody 425 in rod holders and tied to the stanchions. When I went below to grab another book, we heard a loud crack. We ran topside to try to figure out what had caused the noise, only to discover my port side rod was missing, as was the rod holder which had been ripped right off the stanchion. There’s a poor fish out there dragging a rod behind him! Luckily we had a couple more rods and successfully caught a few meals as we continued our journey. When in Black Point Settlement, Exumas, I was fishing off the boat while anchored. The rod bent nearly double! Looking down into the beautifully clear 20-foot deep water, I saw a dark fish that was over three feet long promptly swim under the boat. Finally, struggling with its weight and feistiness, we were able to get it up on deck. The top of its head looked like it had been trounced on by a work boot which identified it as a remora. Quickly looking up food value (nil), we finally got the hook out and threw it back into the water. Each time after that, a smaller remora would appear from under the boat and go for the baited hook. I finally gave up.